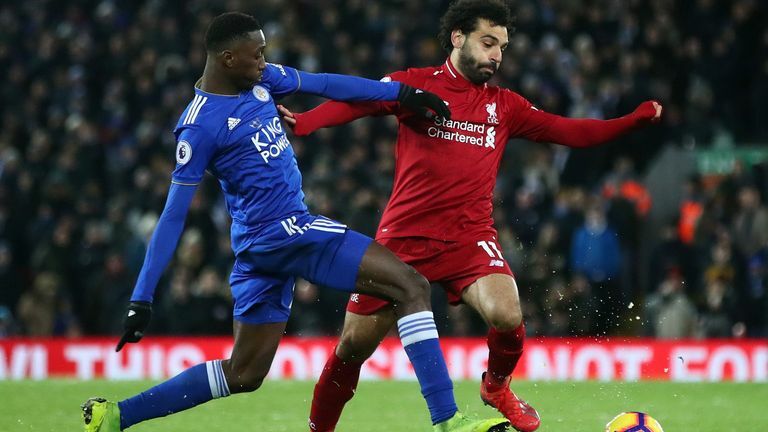 Liverpool missed the chance to move seven points clear at the top of the Premier League as Leicester held them to a 1-1 draw on a nervy night at Anfield. Sadio Mane got Liverpool off to the perfect start with the opener inside three minutes, but Leicester hit back in first-half stoppage-time through Harry Maguire. That goal changed the complexion of the game at an expectant Anfield, and anxiety set in as Leicester became the first club outside the top six to take points off the leaders this season. Leicester stay 12th as a result while the draw extends Liverpool's lead at the top five points, but it could have been much more for Jurgen Klopp's title chasers. Liverpool: Alisson (5), Matip (6), Van Dijk (6), Robertson (6), Wijnaldum (6), Keita (6), Henderson (6), Shaqiri (5), Firmino (6), Mane (7), Salah (6). Subs: Fabinho (6), Lallana (5), Sturridge (5). Leicester: Schmeichel (7), Ricardo (6), Maguire (8), Evans (7), Chilwell (6), Mendy (6), Ndidi (6), Albrighton (6), Gray (6), Maddison (6), Vardy (6). Subs: Choudhury (5), Okazaki (n/a), Iheanacho (n/a). Man of the Match: Harry Maguire. Manchester City's defeat at Newcastle on Tuesday presented Liverpool with a glorious chance to move closer to a first top-flight in 29 years, and they looked set to capitalise when Mane rounded off a 30-pass move with just two minutes and two seconds on the clock. 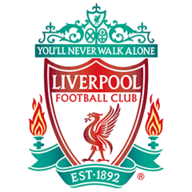 But Liverpool were prevented from settling into their relentless rhythm by the remnants of a pre-match snow flurry, with Leicester able to contain the Reds while the ball sluggishly rolled around the Anfield turf. 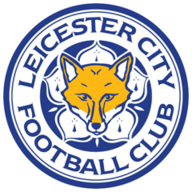 Leicester steadily grew into the game and should have equalised on 25 minutes, but James Maddison somehow missed the target with a close-range header, after the Foxes had pounced on a charged down Alisson clearance. Maguire saw yellow and not red on 41 minutes, despite deliberately bringing Mane to ground as race in behind the advanced Leicester defence, with referee Martin Atkinson ruling the incident, which occurred just inside the Leicester half, not to be clear goalscoring opportunity. Jurgen Klopp made two changes as Georginio Wijnaldum and Xherdan Shaqiri returned. Virgil van Dijk recovered from illness to start. 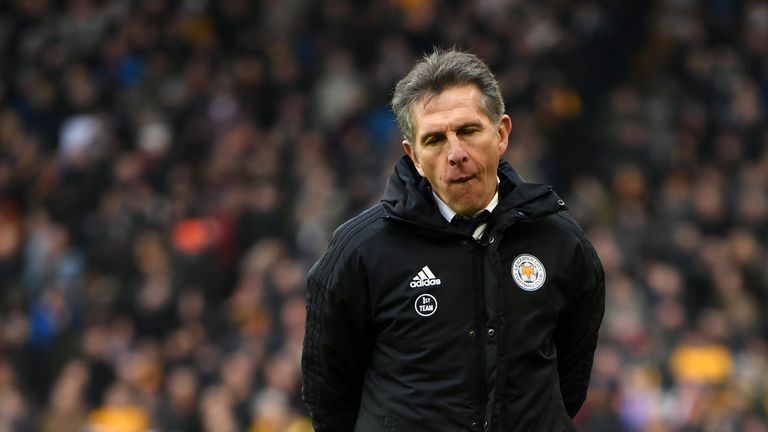 Claude Puel went one better, as Jonny Evans, Marc Albrighton and James Maddison were recalled into the Leicester line-up. And Maguire took full advantage of his reprieve, ghosting in at the back post the sweep Ben Chilwell's header into the back of the net, as the Liverpool defence played for offside. Chilwell's great reverse pass presented Maddison with an early sight of the Liverpool goal after the interval, and the Reds' goal continued to live an enchanted life as Maguire's knockdown, from an offside position, near fell for Jonny Evans, but a combination of Roberto Firmino and Alisson thwarted Leicester. Referee Atkinson was centre stage on 57 minutes as he failed to penalise Ricardo Pereira's challenge on Naby Keita in the area, despite the Leicester full-back treading on Keita's foot before he shanked a shot wide. As Liverpool appealed for penalty, Leicester, who were now a threat on the counter, broke at pace, but Demarai Gray fired a tame shot at Alisson instead of squaring for Maddison. Liverpool's push for a winner came up short as Kasper Schmeichel got down low to save from Firmino before Mane fired a near-post header over the bar, leaving Anfield with a sense of what could have been at full-time. Liverpool failed to win at Anfield for just the second time in the Premier League this season (W9 D2), having also drawn against Manchester City in October 2018. Leicester are the first non-'top six' side that Liverpool have failed to beat in the Premier League this season - the other four opponents they haven't won against are Manchester City (x2), Chelsea and Arsenal. Leicester have avoided defeat in each of their last two Premier League away games at 'top six' sides (1-0 v Chelsea and 1-1 v Liverpool), as many as they had in their previous 14 such games combined (D2 L12). Liverpool attempted just 10 shots in this game against Leicester - the only occasions when they've had fewer in the Premier League this season were both against Manchester City (seven, both home and away). Sadio Mane's opener for Liverpool (2:01) was their quickest goal in the Premier League since April 2016, when Daniel Sturridge netted against Newcastle (1:07). Each of Harry Maguire's three league goals for Leicester this season have come away from home - only Wilfried Zaha (4) has netted more among players to have scored 100% of their goals in away games. 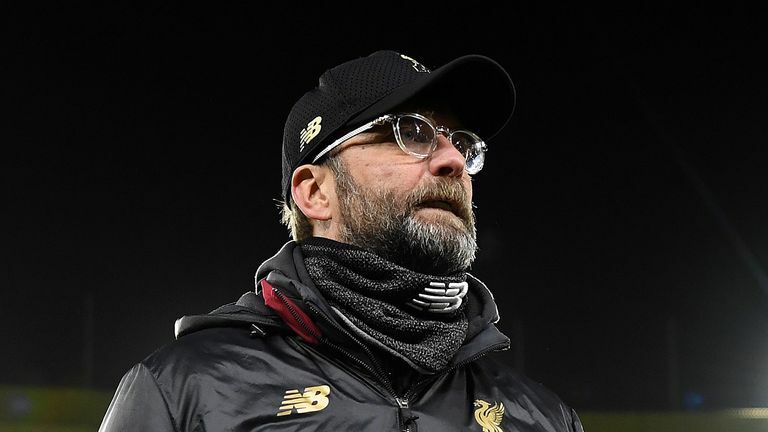 Liverpool manager Jurgen Klopp admits they are disappointed after being held to a draw by Leicester City at Anfield. Jurgen Klopp: ""I don't see it like we've dropped points. We take what we get and tonight it's a point and it's more than we had before the game so that's fine, but we wanted to win the game. Everybody agrees that there could have been a penalty, maybe should have been a penalty. I don't know why it was no penalty. It's a ref thing and we now have to accept the result, which is no problem." Leicester manager Claude Puel believes his side deserved to take more than a point from their trip to Liverpool. Claude Puel: "It's a good performance. I have the feeling of regret a little because we had fantastic chances at the beginning of the second half. We conceded another goal after two minutes but after we showed fantastic character and personality." Liverpool looked set to blow Leicester away after Mane's early strike, but Maguire orchestrated a defensive display that frustrated at the Reds. Every time Liverpool tried to play through the heart of Leicester, Maguire was in the right place to intervene. And the England international was well placed to prevent Liverpool from pulling away at the top of league, coolly slotting Leicester's equaliser after a brilliantly-timed run in behind. Liverpool travel to West Ham on Monday Night Football (8pm). Before that, Leicester host Manchester United on Renault Super Sunday, with both games live on Sky Sports Premier League.